This Turban headband is the second design from my “Take a Break!” Collection that I wanted to share with you. The concept is simple, I propose several short projects that will be achieved very quickly. All you have to do is take a break, relax and enjoy yourself. 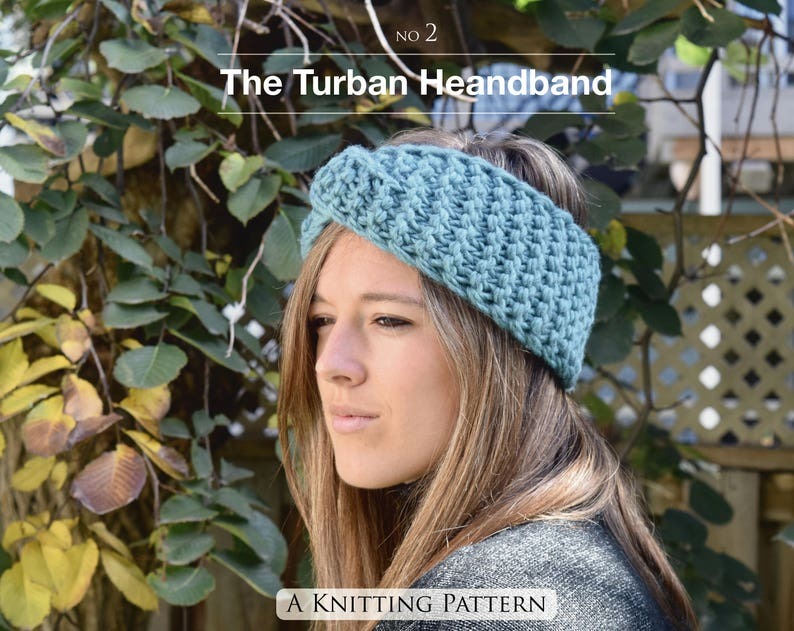 With its classic look, this headband will take you about an hour to knit. Using a tight garter stitch, your knit will be soft and warm. This stitch will also make it very stretchy and easy to fit everyone. •Something to put sts on hold, (another needle, a stitch holder, a peice of wasted yarn). I love seeing what other knitters make! Once your creations are finished, don’t hesitate to share your Ribbed Beanies on the social networks including the hashtag #ateliercliche. All patterns are Final Sale and cannot be refund. This pattern is for personal use only. Please do not sell finished products or reproduce this pattern in parts or in his complete form. Mon 1er patron au tricot ! Facile ? suivre, rapide et agr?able. Bandeau confortable, je l'adore ?? Great instructions with pictures that help show important steps. Simple and easy to follow making great ear warmers. I’ll be using this pattern many times to get us through winter! I will order from here again! Big and fun! They work for a lot of different occasions.